The University of Washington School of Medicine announced plans today, March 26, to establish Spokane as the center of an effort called "Next Generation WWAMI." The UW, in partnership with the city's health-care professionals and other higher education institutions, will work to rapidly grow and continue to implement innovative approaches to medical education intended to prepare the next generation of family physicians and other doctors needed to serve both Spokane and medically underserved rural and urban areas in Washington state. "When the University of Washington pioneered the WWAMI model more than 40 years ago, we broke the mold of traditional medical education," said UW President Michael K. Young. "Today, the program provides the highest-quality medical education at the most affordable cost of any program in the nation. In recognition of the critical role that the Spokane community plays in the overall health of the state of Washington and the Inland Empire, it's time to make WWAMI-Spokane the next generation of innovation in medical education." The UW's WWAMI Program is a very successful partnership of the states of Washington, Wyoming, Alaska, Montana and Idaho. It is devoted to the health-care professional needs of communities. First, thanks to the generous support of the Spokane community, which raised private dollars to temporarily fund the second year of medical education in Spokane, the UW School of Medicine will seek state funding in the next legislative session to guarantee that Spokane will become the first permanent four-year medical education program outside Seattle in the five-state WWAMI region. The funding request will also support previously announced plans by the UW, in partnership with Washington State University, to quadruple the number of medical students in Spokane's classrooms from 20 to 80 per year. "Spokane is my home. WWAMI-Spokane allows me to attend the University of Washington School of Medicine in the community I grew up in and love," said Lauren Benson, second-year UW medical student in Spokane. "Making the second year WWAMI pilot permanent gives other students like me from Spokane access to the best medical education in the country right here in our community. It's the best possible way to train for the profession I am so dedicated to." Second, the UW School of Medicine will adopt a new state-of-the art medical education curriculum in Spokane and expand clinical training opportunities in underserved areas across the state, including Yakima, Tri-Cities, Wenatchee, Bellingham and Vancouver. The new curriculum is characterized by greater integration in the program of basic science with clinical training, more active learning, and an emphasis on team-based, inter-professional medical education. New and enhanced clinical training sites will ensure that students educated in Spokane will have the desperately needed opportunities to put their education into required practice. "Federal healthcare reform has not only changed how we provide healthcare but also increased the number of people who need access to primary and preventive care. In order to provide the highest quality of care at the lowest cost, programs like WWAMI must be responsive. The new WWAMI curriculum will teach students how to provide patient centered care by working in inter-professional healthcare teams," said Dr. Darryl Potyk, a general internist (adult medicine physician) who is a faculty member at the Providence Sacred Heart Internal Medicine Residency Program and assistant clinical dean for WWAMI Spokane. "Next Generation WWAMI brings medical education closer to students' homes in eastern Washington and also provides clinical training opportunities in communities throughout the state," said Dr. Paul G. Ramsey, CEO of UW Medicine and dean of the UW School of Medicine. "This effort will have a positive impact on the entire state, including the development of more programs that will enable translation of research discoveries to improvements in patient care." As part of ensuring the successful development of the Next Generation WWAMI program in Spokane, UW's Young will appoint an Advisory Council on Medical Education Access and Affordability to be led by former Gov. Dan Evans, who signed the original legislation establishing the WWAMI program in 1971. The council will conduct "listening and learning tours" of various WWAMI communities to gather important feedback on local healthcare needs which will be used to inform the implementation of the Next Generation WWAMI program in Spokane and at other clinical training sites around the state. Members of the Council will be announced in the next several weeks. "Spokane and the University of Washington have enjoyed a strong and productive medical education partnership for many years, and we look forward to this relationship growing even stronger and deeper," said Spokane Mayor David Condon. "I'm excited that Governor Evans has agreed to take on this important task on behalf of Spokane and the state of Washington." The UW School of Medicine is the No. 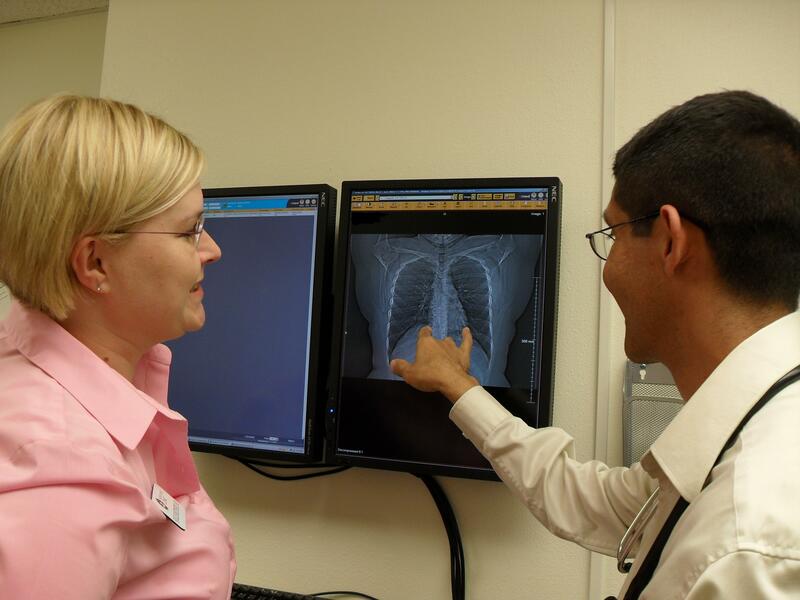 1-ranked primary care medical school in the nation and is also ranked No. 1 in the nation for training family medicine physicians and No. 1 in rural medicine training in the U.S. News & World Report Graduate and Professional School survey. In addition, UW/WWAMI specialty training programs in AIDS education (No. 4), pediatrics (No. 5), geriatrics (No. 7), internal medicine (No. 7) and drug and alcohol abuse (No. 9) are also ranked among the very best in the nation. Media Contact: Norm Arkans, associate vice president for Media Relations and Communications at the University of Washington, at 206-543-2560 or arkans@uw.edu.